No more winching, cranking, pumping, hoisting. Drive on and drive it right back off. EZ Dock’s new floating boat lift, the EZ BoatPort, is the perfect choice for many skiffs, runabouts, fishing boats, inflatables, sailboats, PWCs, kayaks and other vessels. We manufacture adjustable rollers and bunks allow the EZ BoatPort to fit a wide variety of boat shapes and sizes. Designed like our other EZ Port products with an easy drive-on, push-off method of dry docking, the EZ BoatPort is self-floating and can move with the changing water levels. The innovative EZ BoatPort system eliminates the need for winching, cranking, pumping or hoisting. Choose from three EZ BoatPort models. It's easy to install and to customize with accessories. Supports watercraft up to 2000 lbs. Supports watercraft up to 3,000 lbs. Q: How much does EZ Dock cost? EZ Dock is priced very competitively with other quality floating dock products, including wood, steel, aluminum and other plastic docks. 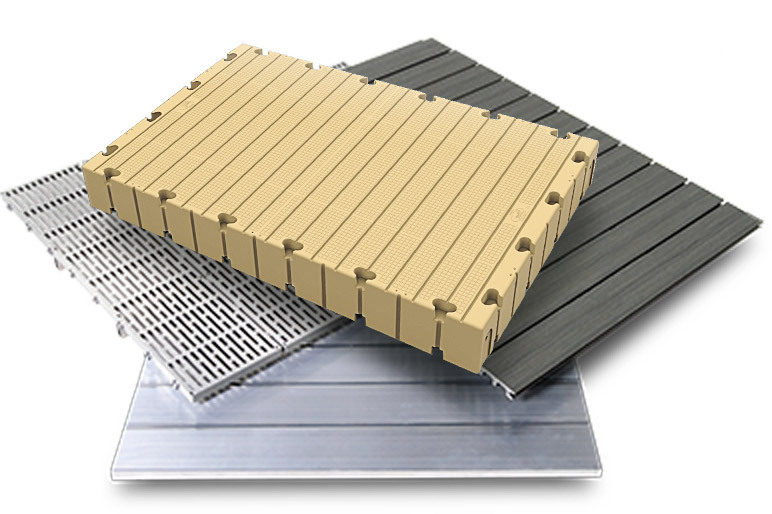 Generally speaking, floating docks will cost about one-third more than quality aluminum stationary and rolling docks.